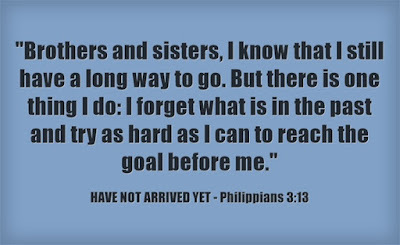 Many of us can identify with Paul’s dilemma as he agonises over the internal conflict between two opposing natures: “For I have the desire to do what is good, but I cannot carry it out. For I do not do the good I want to do, but the evil I do not want to do — this I keep on doing” (Romans 7: 18b,19). It is frustrating enough when our body fails to follow the dictates of our mind. It is worse when it does the exact opposite of what we intend. Some believers, however, fail to acknowledge this despair which Paul cites as typical of his experience. 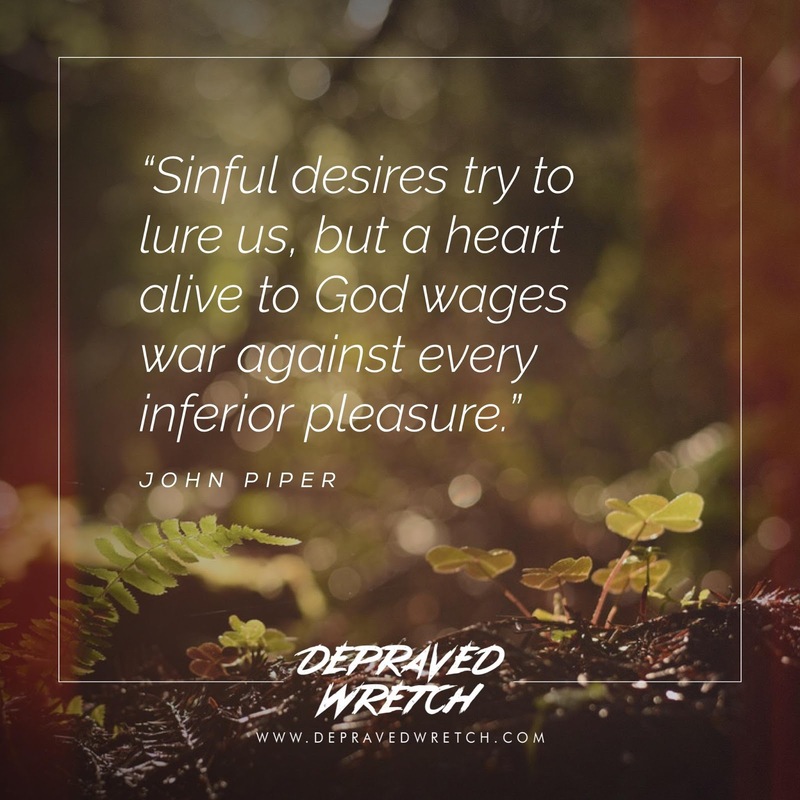 They fail to appreciate the ugliness and seriousness of sin * in our lives. But it is only when we realise our own utter hopelessness in solving this sin problem that we turn to the cross. In fact, Paul’s agony in Romans 7 is to lead us not into a state of utter despair but to pave the way for us towards the solution — Christ. 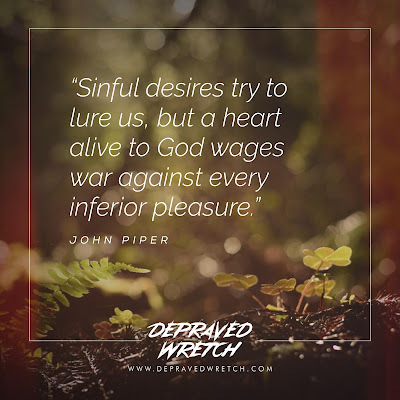 “What a wretched man I am! Who will rescue me from this body that is subject to death? 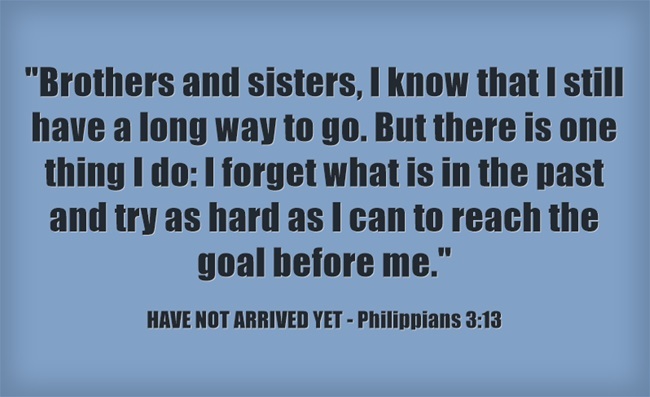 Thanks be to God, who delivers me through Jesus Christ our Lord! Therefore, there is now no condemnation for those who are in Christ Jesus, because through Christ Jesus the law of the Spirit who gives life has set you free from the law of sin and death.” (Romans 7: 24-25, 8:1-2). Paul, in addressing the Galatian believers, exhorted them: “Walk by the Spirit, and you will not gratify the desires of the flesh. For the flesh desires what is contrary to the Spirit, and the Spirit what is contrary to the flesh. They are in conflict with each other, so that you are not to do whatever you want” (Galatians 5:16-17). The point is this: The battle between the “new man” and “old man” still rages on after conversion. Some say we no longer need to struggle against sin on account of the fact we are made completely new at the point of conversion: “Therefore, if anyone is in Christ, the new creation has come: The old has gone, the new is here!” (2 Corinthians 5:17). Yes, as believers, our “spirit man” is now alive 1 whereas it was dead before conversion. But this does not mean our battle with the “old man” is over. The Christian walk is a moment-by-moment experience whereby we are given the choice whether to serve the spirit or flesh — as opposed to a ‘once and for all’ experience of victory. As long as we choose to walk by the spirit 2, die to self 3, lay our selfish desires at the foot of the cross, we will win the battle against the flesh: “Those who live according to the flesh have their minds set on what the flesh desires; but those who live in accordance with the Spirit have their minds set on what the Spirit desires” (Romans 8:5). Let us not think we can rely upon our titles, position, past experience or track record of work for God to keep us steadfast in the faith. That said, as we mature in the faith, victory will become more and more typical of our daily experience. Whereas conversion is an experience at a particular point in time, walking in victory is an ongoing process which requires a daily, even a moment-by-moment, dying to self. In order to overcome the pull of the world and our flesh, and the deception of satan, we have to be strong and the only way we can achieve this is to seek God. 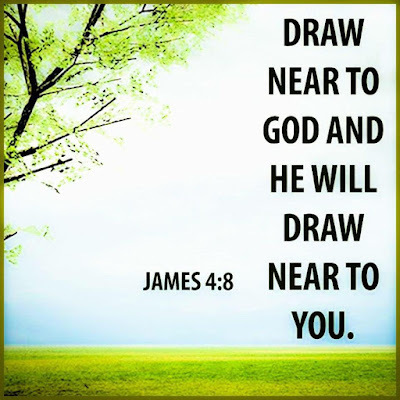 Indeed, we have to obey the injunction, “Seek me and live” (Amos 5:4). * “The human heart is the most deceitful of all things, and desperately wicked. 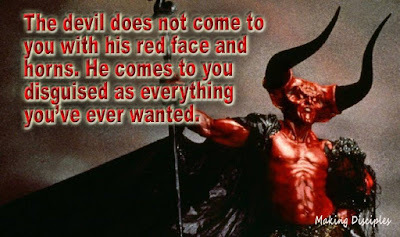 Who really knows how bad it is?” (Jeremiah 17:9). 1 “And you hath He quickened, who were dead in trespasses and sins, wherein in times past ye walked according to the course of this world, according to the prince of the power of the air, the spirit that now worketh in the children of disobedience” (Ephesians 2:1-2). As believers, our ‘spirit man’ can discern God’s presence and leading as well as truth from error. 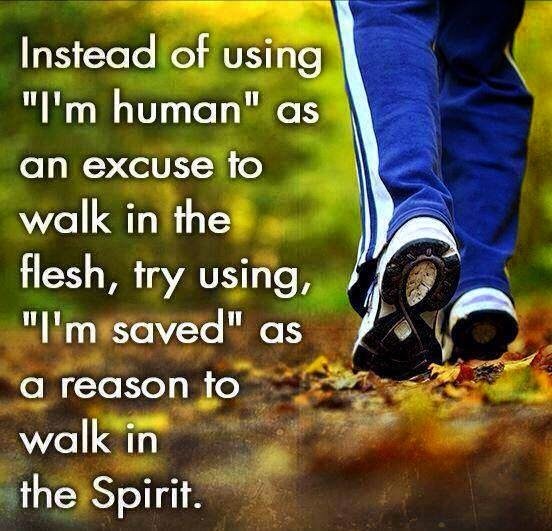 2 By choosing to ‘walk by the Spirit’, we will not gratify the desires of the flesh (Galatians 5:16). What are some of the practical steps involved? 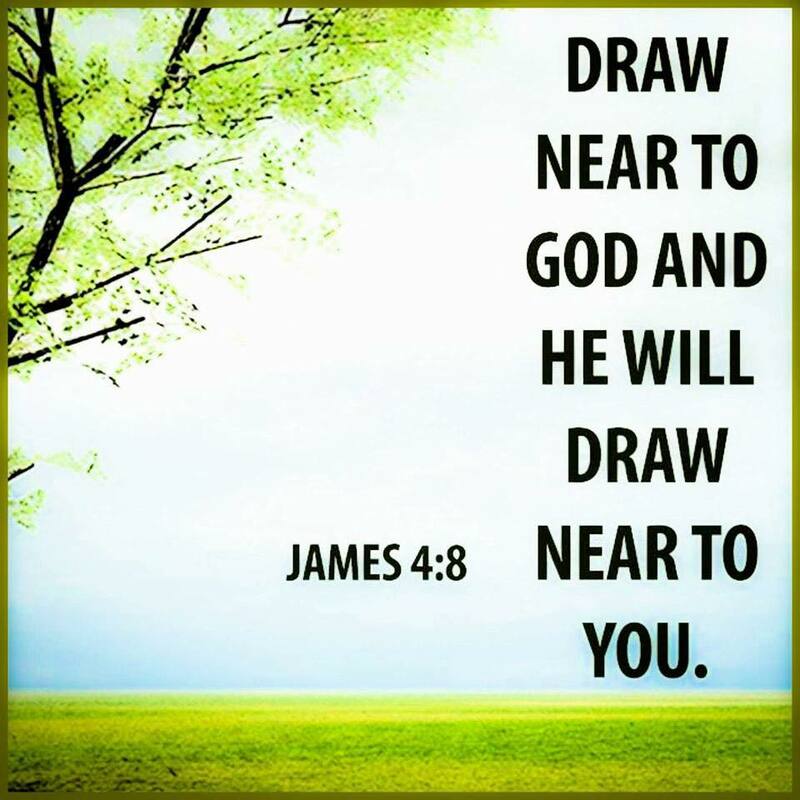 Draw near to God; be exposed to people and situations where God is glorified; pray in the Spirit; listen to uplifting messages; worship God; fellowship with other believers. 3 “I have been crucified with Christ and I no longer live, but Christ lives in me. The life I now live in the body, I live by faith in the Son of God, who loved me and gave himself for me” (Galatians 2:20). According to Christ: “Whoever wants to be my disciple must deny themselves and take up their cross daily and follow me” (Luke 9:23). Loved your dissertation. At our NEW birth we received a NEW Spirit and NEW heart. - a heart that is energised with a NEW life. What hasn't changed is the unrenewed mind and unregenerated body which togethet spell the FLESH ( the old man). Thus in Romans 7 Paul discovers he is his own worse enemy in the struggle between SPIRIT and FLESH. But thanks be to our Lord Jesus Christ as we are exhorted to put on His mind ( the mind of Christ ) and consecrate our bodies as a living sacrifice. By denying self, taking up our daily cross and following Him we undergo the discipline of being a true servant or disciple in the process of sanctification we will surely overcome as He did in His strength, wisdom and love. Thus we allow the NEW life,spirit and heart to overcome us in our body, soul and spirit. Thus saturated especially with the power of His love ( Romans 5:5) we can love others with all we have and are in Christ. Yes, Christopher. SANCTIFICATION is an ongoing process from the day we came to the faith. It requires a progressive renewal of the mind with the Word and yielding to the Holy Spirit. Without the Holy Spirit’s empowerment, we will not make much spiritual progress. "Those who live according to the flesh have their minds set on what the flesh desires; but those who live in accordance with the Spirit have their minds set on what the Spirit desires" (Romans 8:5). When we seek (and give ourselves to) the things of the Spirit, we spontaneously develop the strength to overcome sin. IS GOD A SANTA CLAUS?